Home VPN How To Hide Your IP Address? Today we will be discussing some ways to hide your IP address but before that we have to make a list of reasons why would someone need to hide their IP. First of all, the main reasons are security and privacy over the internet. In the recent times, internet has spread like a virus through the entire world and now most of the people are aware of it and also a huge percentage of people in almost every country have started to use the internet. Internet has so many uses and it is becoming an essential aspect of our lives. In the current times, internet is being used in almost every aspect of our life including business, education, health and other important fields. Well, keeping in mind all these advantages, there are some disadvantages of internet as well. The major downside of internet is the alarming increase in the number of hackers and spammers working on the internet. Many people are very conscious of their security and privacy when they are connected to the internet and there is always a fear that some hacker or spammer is going to steal their private or personal information and then use it against them. Additionally, hackers are also trying to get credit card information of many users and thousands of people are getting their cash stolen like this every year. Anti-Virus Not a Good Option! To avoid all these issues, people usually pay heavy amounts to get antivirus and anti malware software to protect themselves from hackers and spammers but that is not enough. This type of software are just a waste of your money because they are only capable of protecting your files inside the computer and once the information is sent out in the cyber space, these software are completely useless. So, you will definitely need another service to do that and there is nothing better than a VPN for this job. 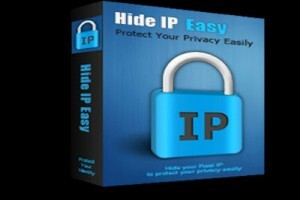 VPN: Best Tool To Hide IP Address! A VPN or Virtual Private Network is a service that will mask your original IP address and it will also provide you with a new IP address. With the help of this new IP you will be able to surf the internet and no one will be able to trace your location or see what you are doing on the internet. Now you have to keep in mind that you can take the new IP address of any country you want to and access all the website only available in that country. Additionally, A VPN creates a tunnel between the user’s computer and the remote server and that tunnel is protected and all the data that goes through that tunnel is also encrypted. So, you will not have to worry about security and privacy of your internet activity after that. Of course there are other services like paid proxies and others that allow you to hide your IP address but they are not much reliable and you cannot trust them completely to protect your privacy and security. Here is the list of some of the best VPN providers available right now.